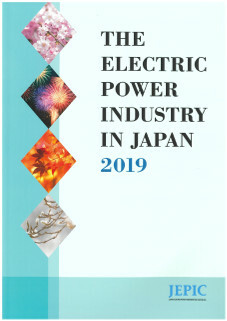 Booklet "The Electric Power Industry in Japan (EPIJ)" 2019 is now available for free download. Since 1959, one year after our establishment, we have annually published the booklet, "The Electric Power Industry in Japan (EPIJ)". This book, which has been well received by industry leaders from around the globe, explains the structure, current status and important topics of the Japanese electric power industry. The 2019 edition is now available for free download. We hope this booklet will help you better understand Japan’s electric power industry. - We also provide this booklet in print format (price: JPY2,000 + delivery cost). The content of the print booklet is identical to that of the digital version. More information on ordering the print version can be submitted here. - No plans to provide past editions in PDF format.